I am to the physical build part of a 24 inch by 72 inch infinity mirror. Here is the workbench and the plastics ready to unwrap. Below is the unwrapped plastics after I discovered that I did not get all of them and three are the wrong size. These problems mean that I am done for the night and cannot assemble any parts for now. I will go talk to the plastics place tomorrow to see about correcting the problem. We are giving away a print of this photograph!! Would you like to have it? The links to the rules and entry form are below the photograph. This is a low resolution copy of the photograph that is being given away. The actual print that is being given away is printed on metallic photographic paper, mounted to a plastic board and is 12 inches by 18 inches. The logo in the lower right corner of this image will not be on the photograph that is awarded. The contest rules are here and the entry form is here. I have had requests from individuals about teaching photography in a one on one or small group environment. After serious deliberation, I have decided to offer classes in photography. The details are available on our main website. The lessons will be tailored to your photography goals and knowledge level with the idea of helping you take the best possible photographs. If you are interested in scheduling lessons call me at 775-473-8939 or email me. The teaser photograph for today is of the Saint Thomas Aquinas Cathedral (Reno, Nevada). The artist reception is this coming Thursday, December 5, 2013. 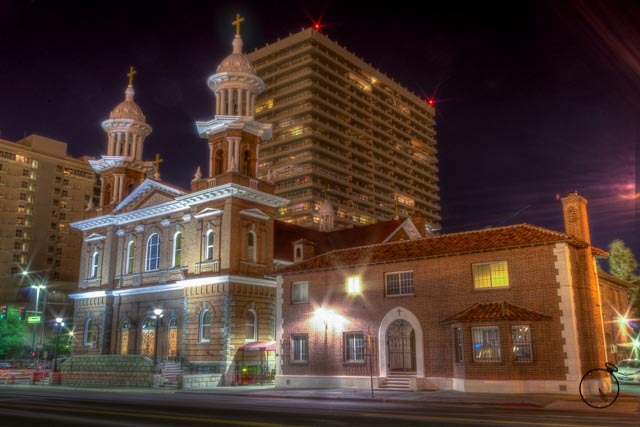 Saint Thomas Aquinas Cathedral is the mother church of the Roman Catholic Diocese of Reno, Nevada, United States. It is located at 310 W. 2nd Street in Reno. 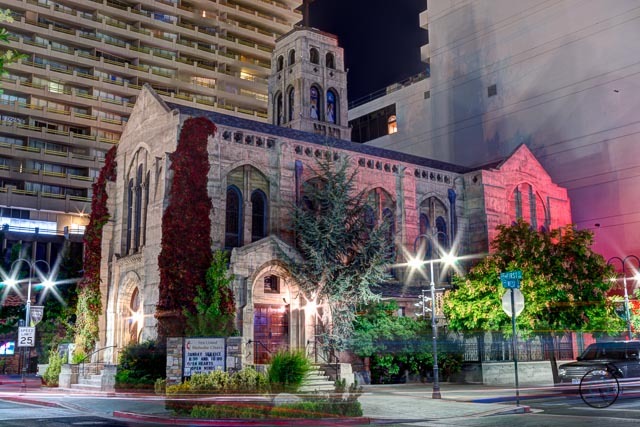 The cathedral was built in 1908 as the rise in Reno’s Catholic population warranted a larger church. The cathedral was nearly destroyed by a fire in 1909 and was restored the following year. The Cathedral is staffed by Conventual Franciscans: Order of the Friars, Minor. (Wikipedia). Here is the third photograph teaser for my upcoming show at Liberty Fine Art Gallery next month. This is the First United Methodist Church located at First St and West St. I love the ivy on the building. 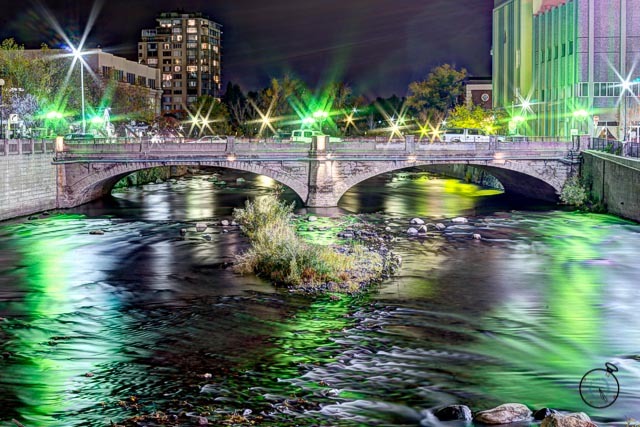 I look forward to seeing everyone from the Reno ares at the artist reception.